You may have noticed, our new website is now up and running and it’s getting lots of positive feedback. We’ve completely redesigned and refreshed the site with a fresh and modern feel, as well as showcasing our many materials for life in footwear, consumer applications and technical fabrics. Now fully mobile-friendly, you can check out the site on your cellphone, tablet or desktop – wherever you are in the world. You’ll also find our careers section and our latest news stories. 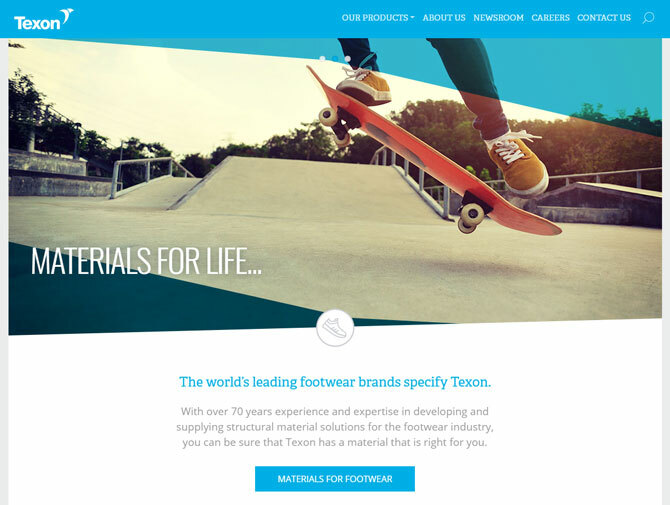 “We are delighted with the new Texon site.